Myth #4: Women entering religious life want to wear habits.Fact: Both men and women seem to be drawn to habited communities. About two thirds of the newer members say they belong to a religious institute that wears a habit. Among those that responded affirmatively, a little more than half indicate that the habit is required in all or most circumstances. Interestingly, almost half of the men who belong to an institute that does not wear a habit say they would wear it if it were an option [and those that don’t wear habits are obviously being disobedient and committing a mortal sin], compared to nearly a quarter of the women respondents. Involving membership and leadership in concerted vocation promotion efforts. Having a full-time vocation director. Using new media like the Internet. Offering discernment or “come-and-see” opportunities for potential members. Exposing young people to the idea of religious life from grade school through young adulthood. When you see a habitless nun walking around in her pants or muumuu’s you wonder what the attraction is when you could lead the same life without living in poverty. With their motherhouse in Nashville, Tennessee, this teaching order is celebrating its 150th anniversary this year. During most of those years, the order was regional and small, but when many other orders started diversifying their apostolates and de-emphasizing community life and prayer, vocations to the Sisters of St. Cecilia started picking up, and they even had to build to accommodate new members. Sister Catherine Marie, vocation director, reported that her order has seen a surge in vocations since 1988. In the past 10 years the order has grown by 110 sisters, with 12 to 15 women entering each year. The median age is 36, and the congregation now has 250 members. Twenty-three postulants are expected to enter in the fall, something sister calls a “gift” for their jubilee. The order conducts four discernment retreats a year and has an active website and regular newsletter. The sisters also visit colleges and Newman Centers, Sister Catherine Marie explained, because they realize, “Most young women today do not know sisters, and most have never had any contact with the likes of us.” As teachers in 14 states and Australia, the sisters also come into contact on a daily basis with many young people. And how do the sisters convey what the CARA study called clarity and confidence about their identity and hope for the future? This order, with the motherhouse in Alhambra, California, was founded in 1921 and has several apostolates: health care, education, and conducting retreats. With a total of 136 sisters in the community, it has been attracting new members consistently in recent years. Currently the order has three postulants and four novices. Sister Mary Kathleen, directress of formation, said that young women find the community in a number of ways, including recommendations from priests, the sisters’ website, sisters visiting schools, and personal contact the sisters have in their apostolates. Particularly helpful, she said, is their volunteer program for young women to help with retreats the sisters conduct. Sister Mary Kathleen said that, just as the CARA study found, living and praying in community are very important to the young women, as is wearing the habit. Their apostolate really flows out of their life and prayer in community, she explained. Like the other orders profiled here, the Carmelite Sisters of the Sacred Heart have a rich liturgical and prayer life, rising at 4:55 AM for community prayer, Divine Office, meditation, and Mass. They pray the Liturgy of the Hours together morning, evening, and night and participate in daily meditation and exposition of the Blessed Sacrament. This is an international order headquartered in Germany, and the sisters of the American province have been in Indiana since 1875. Their apostolates are health care, education, and ecclesial ministries. Presently the American province has 130 members, including two postulants and four novices. Their provincial house is in Mishawaka, Indiana. Sister Lois BeLee, who has been vocation director for 10 years, said that inquiries from potential candidates have picked up in the past five or six years. Just as the CARA report concluded, she believes their up-to-date Internet presence has been crucial in helping young women find them, particularly women who are loyal to the Church and interested in the Franciscan way of life and Perpetual Adoration. Sister Lois hears from women all over the country, with current members coming from as far away as Alabama, California, New York, and South Dakota. She runs discernment retreats twice a year, as well as a “come-and-see program” in which high school girls or young women “shadow” a novice or postulant for three or four days. Sister Lois especially appreciates the annual vocations day in the diocesan high schools, where the sisters give presentations. However, sister agrees with the CARA report that the greatest reason young women get interested in the order is a positive experience interacting with one of the sisters. “The whole personality that is exhibited to people is just one of joy because you’ve given your life to God,” Sister Lois explained. Additionally, the sisters always live together, she said, and young women are looking for the relationship in community, a family spirit. They also want to wear the habit as a sign of their consecration and “to be distinct and let people know they’ve given their life to Christ,” she said. The Norbertines (also known as Canons Regular) of St. Michael’s Abbey first came to California from Hungary in 1958 with seven priests. Their abbey in Silverado, California, now has 47 priests and 18 seminarians. Their average age is 42. The life of the Norbertines revolves around the solemn celebration of the liturgy in choir. The priests also pray the Liturgy of the Hours seven times a day. Since the hallmark of the Norbertine charism is sacred liturgy and Marian devotion, explained Father Ambrose Criste, novice master and vocation director, the young men who come to them are attracted to their liturgical life. “Those are the traditional things the young men are looking for. It’s a very observant religious life, with silence in the refectory and table reading, and we wear the habit all the time except for exercise or work,” said Father Ambrose. This confirms another conclusion of the CARA study, that young people considering religious life desire an emphasis on daily prayer. And how do young men become interested in joining? Again, the Norbertines’ experience echoes the findings of the CARA study: “Mostly it’s when people meet one of our priests,” said Father Ambrose. The apostolic work of the Norbertines includes education, parish ministry, spiritual direction, retreats, and prison ministry, so the priests are out and about where they have a lot of daily contact with people. These sisters lately have been called “Oprah’s nuns,” for they were featured on The Oprah Winfrey Show February 9. A relatively new order that was founded in 1997 with four sisters, the order now has 96 members. The average age is 26, and more than 20 postulants are expected to enter next year, the largest group ever. Their motherhouse is in Ann Arbor, Michigan. 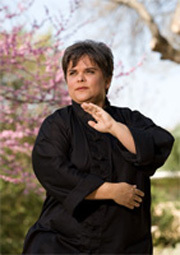 The sisters are teachers and presently teach in six states. Like the other orders profiled here, the Dominican Sisters of Mary live the traditional religious life identified in the CARA study. They rise at 5 AM, have an hour in chapel before Mass for Eucharistic holy hour, the Office of Readings, meditation, and Morning Prayer. After a day of teaching or study, they are in chapel again by 4:30 PM for spiritual reading, Evening Prayer, and the Rosary, and back again at 7:30 PM for short spiritual reading, Night Prayer, and the Salve Regina procession, a Dominican custom. Sister Maria Guadalupe, director of mission advancement, admits that this is a very busy life for sisters who are in the classroom all day, but she said their prayer life enables their apostolate. She explained that one of the Church canons for religious says their first duty is “assiduous union with God in prayer,” and a Dominican motto from St. Thomas Aquinas goes along with that: Religious contemplate and then give to others the fruits of their contemplation. “So, we take that very seriously, that our prayer life is what is meant to feed everything that we do in the apostolate,” Sister Maria Guadalupe said. Obviously this philosophy is attractive to young women, for they have come to the order from 32 states and Canada. The St. Bonaventure Province of this ancient order was established in 1939 in Chicago. This province has always been small, now numbering 55, according to Brother Joseph Wood, vocation director. However, in the past 10 years, the province has had a rebirth of vocations, he said, and presently has 14 men studying to be priests or brothers. Brother Joseph also has seen a rebirth of interest in the brotherhood since the Second Vatican Council. Brothers previously tended to do domestic work, he explained, but Vatican II opened the doors for brothers to do many ministries. Thus, more men are looking at the brotherhood as an option and those men usually are well educated. The province has about equal numbers of priests and brothers, all of whom engage in a variety of ministries: parish work, counseling, health care, catechetics, work with the elderly and refugees, prison ministry, and missionary work. Brother Joseph said that the average age of men entering the order is around 30, the same overall average age reported by CARA for men entering religious life. Likewise, the friars’ experience reflects the report’s finding that the primary component in vocation recruitment is personal contact. That contact comes through visits by prospective candidates to the monastery, through the Franciscans’ ministry, and through Marytown, the National Shrine of St. Maximilian Kolbe in Libertyville, Illinois that is run by the friars and has Perpetual Adoration. The Internet also has been important, Brother Joseph said, confirming the findings of the CARA report. In addition to an attractive and informative website, Brother Joseph said he uses an online vocation agency that matches up discerning people with particular communities that suit their needs. And what attracts men to the order? Again, the CARA findings are echoed by Brother Joseph. People know that Franciscans and Dominicans tend to wear a habit, he said, so the young men coming to the order expect that and are comfortable with the habit. However, Brother Joseph said they try to be balanced and not “weird.” They would not wear the habit while working in the yard, for example, but always wear the habit for ministry and prayer. “Our particular community, the Conventual Franciscans, tends to be traditional. The men who contact me love the Blessed Mother, the Rosary, the pope. But they also love sports, watching television, and pizza; they are healthy young men who are not repressed,” Brother Joseph said. The Religious Sisters of Mercy of Alma, Michigan were established in 1973 and now serve in 10 dioceses as well as in Rome, Australia, and Germany. There are 80 sisters in the order, with an average age in the mid-40s. Presently there are five postulants and 10 novices. The sisters average two to seven new members each year, with six scheduled to enter in the fall, but that number may increase, according to Sister Joseph Marie, generalate secretary. Their apostolate includes education and health care, built on their charism of performing spiritual and corporal works of mercy. Sister Joseph Marie confirmed the CARA finding that most new members are attracted to an order because of personal contact with one of the members. The order has discernment weekends frequently, and local communities sometimes host a day of reflection for interested laypersons, or lead an adult catechesis group. Through the Council of Major Superiors of Women Religious, the sisters help organize and guide the young people doing volunteer work at World Youth Days. 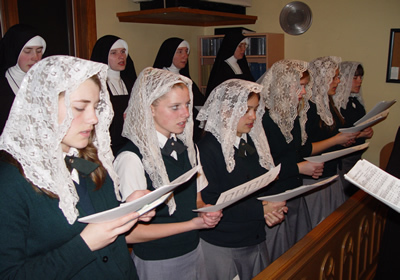 The Sisters of Mercy of Alma believe the habit is “a very important part of religious life,” Sister Joseph Marie said, for it manifests consecration to God, makes religious a visible sign within the Church, expresses union within their community, reminds the sister of her union with the Lord, and is a way to live the vow of poverty. Part of the sisters’ spirituality is maintaining union and charity among themselves, along with “cordiality of heart,” Sister Joseph Marie said. Thus, community is stressed along with a strong community prayer life that includes daily Mass, the Office of Readings, a meditation period, Eucharistic Holy Hour, and the Liturgy of the Hours. The sisters also make it a point to pray for vocations, and those prayers are bearing fruit. The Oblates of the Virgin Mary, an international religious order of priests and brothers, is nearly 200 years old, but the United States province is relatively young, having been established in 1976. Currently the province has 36 perpetually professed members and seven seminarians studying in the US and five studying in the Philippines. In addition to the Philippines, the order has a presence in four states, with its provincial house in Boston, Massachusetts. zeal for their own sanctification and for the salvation of souls. Father Barron said he has found that young people who are discerning a vocation want to be needed, and want authenticity in a religious order, “people who really live what they say they live and believe.” As the CARA study also found, he agrees that the young long for holiness. For the PDF version of the CARA study click here. For Best Practices in Vocation Promotion click here. For the National Religious Vocation Conference CARA Study website click here. For the National Religious Vocation Conference website click here. * The study, “Recent Vocations to Religious Life: A Report for the National Religious Vocation Conference,” was conducted by the well-respected Center for Applied Research in the Apostolate (CARA) at Georgetown University and published in August 2009. God is clearly blessing these traditional orders with growing numbers of vocations, and His grace is abundant in the rebounding orthodoxy of the Gen Xers like me and even among many Millennials of this latest generation. God is faithful if we remain faithful to Him! You definitely have my prayers Kevin! The Father responds to those who are Faithful, Humble and Obedient – as His Son was. I’m blessed to live near an order of very holy and orthodox priests, The Fathers of Mercy. They are going to ordain one priest and two deacons next Saturday. You are blessed, Ellen. The Fathers of Mercy are a great order. Fr Louis hails from my old parish in Detroit and said Mass there every time he was in town. Very reverent and awesome sermons – his presence was always a great treat for the parish. When these orders embrace the traditional Mass instead of the fabricated Mass (i.e., the Novus Ordo, even in Latin), then we’ll know that they’re serious about tradition. My friend is with the Nashville Dominicans, and see loves it! 🙂 I am entering formation with the Salesians come end of August and in four years, I could be in the habit! It is exciting. Traditional orders are finding more members, there has to be a reason as you have proved. You and your friend have my prayers!